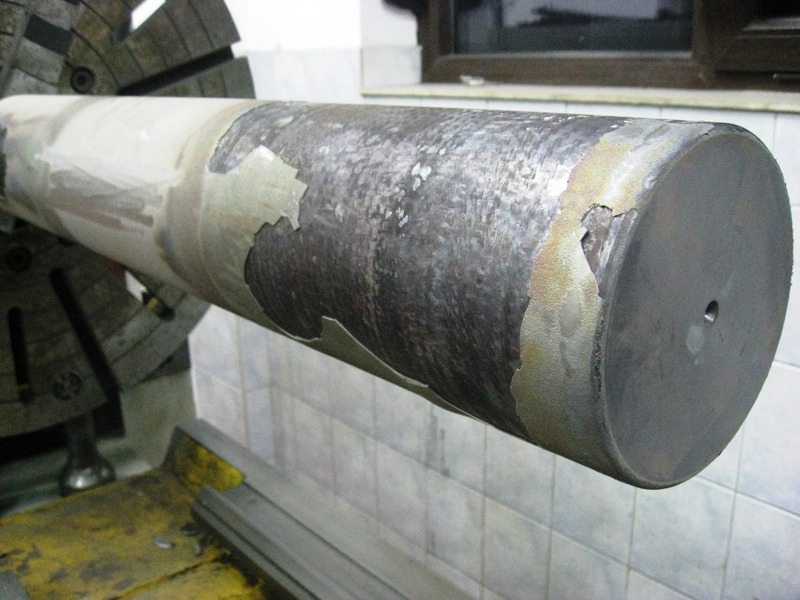 We are dealing with cracking issue on piston made of duplex steel (it is used in petrochemical industry), with diameter around 153, and length of 950 mm. We have sprayed NiCrSiB Castolin powder used for fusion (and of course Castolin Flame spray system Castodyn). Preheating temperautre was cca 350 C on surface, and 150 in core of the piston. then we cleaned the surface by grinding, and after sprayed 150 microns of powder. then we started to fuse the layer with two flame torches, and after 15 min of doing that the layer started to crack. I've sent picture in attachment. My first comment is, why not prepare with grit blasting? Pre-heating temperature of 350 C on surface does sound very high, but I suspect you may have problems getting the coating to bond enough using a typical 100 C preheat anyway without grit blasting. As long as the surface is not suffering oxidation, the high pre-heat may in fact be beneficial. Another question, why use a duplex stainless steel to carry a fused coating? Adhesion of thermal coatings are not provided due to diffusion processes in the coating-substrate interface.Adhesion is ensured by a mechanical clutch. So you need to create a rough surface redef details. This is ensured by sandblasting or otherwise.Preheating to a relatively low temperature does not give anything.The more you talk about the average temperature of body parts rather than the temperature of the surface layer. Our advice. Conduct a preliminary chemical cleaning items, for example acetone or alcohol, then spend a sand blasting, coat, and only then can spend the diffusion annealing for several hours at 350-400 Celsius. I can confirm, that the grit blasting before the spraying must be done. If not the bond strength is insufficient for this type of application. 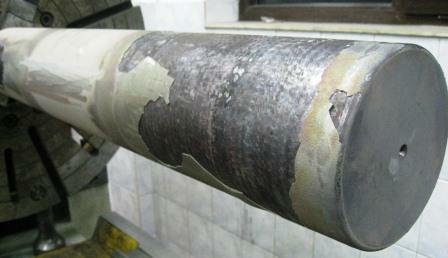 The machining of the roughness is also a way how to reach higher adhesion if blasting is not possible.